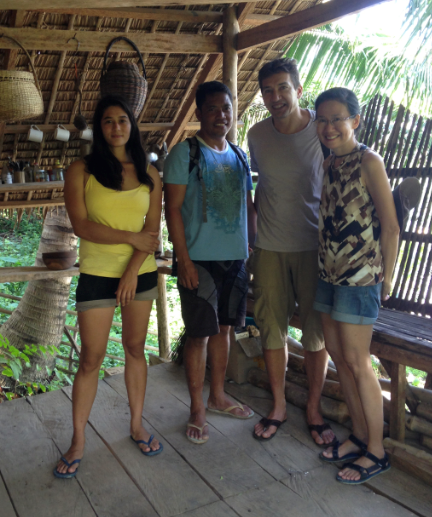 In November 2015, researchers from Ecotone Resilience (ER), a Paris-based non-government organization, visited Abra de Ilog in Occidental Mindoro. 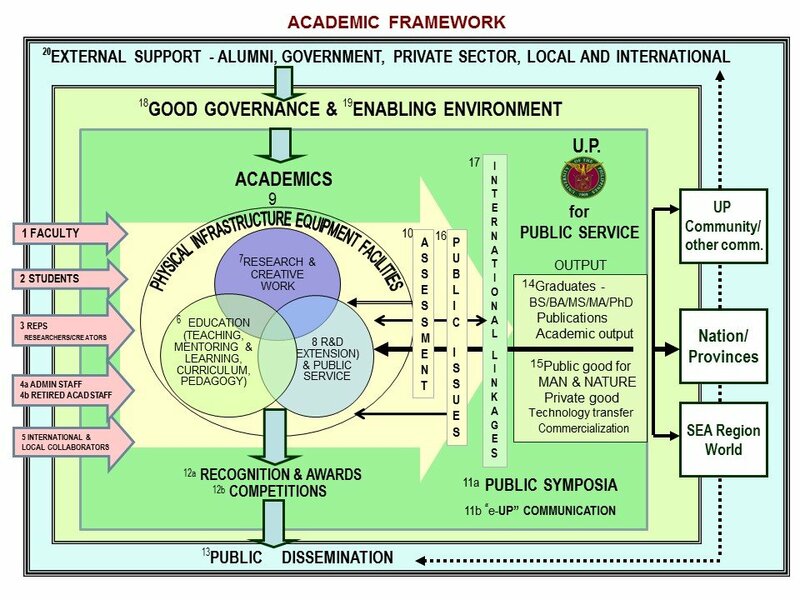 Their mission was to look at the study site of a program funded by the Emerging Interdisciplinary Research (EIDR) grant of the Office of the Vice President for Academic Affairs. The research started three years earlier, under the leadership of Professor Helen T. Yap of the Marine Science Institute in UP Diliman. Called “Social-Ecological Resilience on Different Spatial and Temporal Scales (Emphasis on the Coast),” the program seeks to better understand, using a complex systems approach, the dynamics of local communities in selected coastal areas of the Philippines as they interact with adjacent marine resources. It will run until December this year. As collaborator, ER brought in its model on how advanced sustainable practices can lead to better production in the long run because they rely on natural productivity and the resilience of bio-diverse systems. The site, situated along the Verde Island Passage, is a known center of biodiversity in the world. 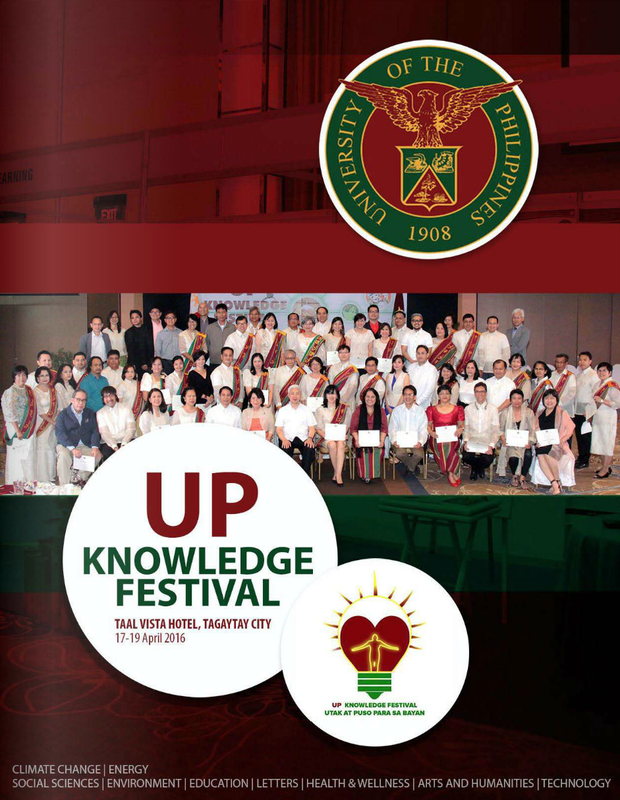 UP and ER’s partnership is a multidisciplinary effort that involves natural scientists, social scientists, economists and international impact investors, together with the local rural population. Its goal is to help protect the environment while assuring adequate quality of life for local inhabitants through the provision of a suitable range and combination of livelihood options. ER activities are built on the initiatives of the UP EIDR program, all geared toward understanding and protecting the coastal environment, exploring the kinds of livelihood that are sustainable and do not inflict damage on natural ecosystems, and understanding and protecting terrestrial ecosystems like mountain habitats, forests, rivers and other freshwater bodies. 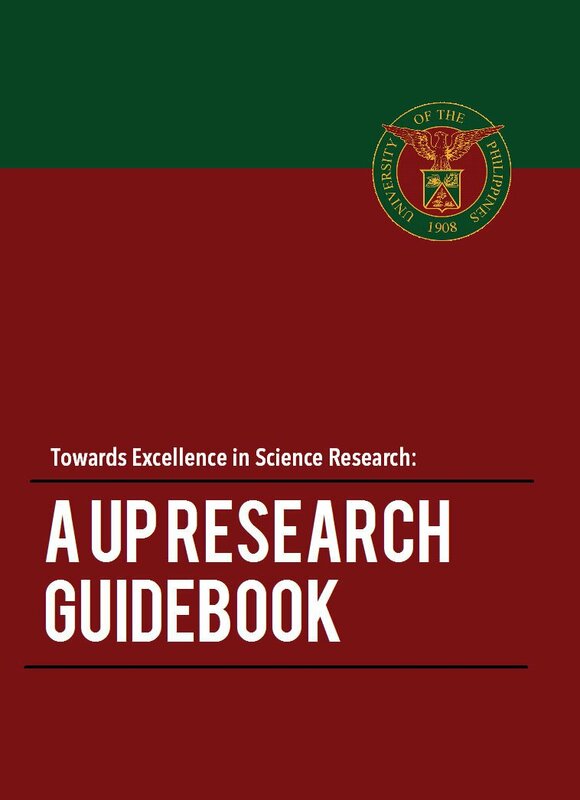 The EIDR program personnel directly involved in ER activities are Elsa Ligaya Dingkuhn (research associate) and Fidel Silan (research aide). Ms. Dingkuhn specializes in organic agriculture. 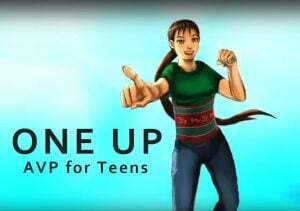 She was originally a volunteer with ER and was contracted for the EIDR project to support her field activities in pursuit of the common objectives of ER and the UP initiative. She plans to pursue an MSc in Europe. Mr. Silan is a leader of the local community in Barangay Udalo, Abra de Ilog, and has been with the EIDR program since its inception. Mr. Tarek Toubale, current ER president, is a highly regarded expert in global finance. He was Managing Director and International Head of Securities Lending, Equity Swaps and Structured Products at Morgan Stanley. From left: Elsa Ligaya Dingkuhn, Fidel Silan, Tarek Toubale and Helen T. Yap. Photo taken in late 2016. ER engaged volunteers to continue the survey of marine resources and interviews with fishermen initiated under the EIDR program. The key volunteers were Ryan Kaye (South Africa) and Marine Servonnat (France), both holders of master’s degrees from the University of Antwerp in Belgium. The interviews with local fishermen culminated in meetings with the local communities to discuss the merits of establishing a marine protected area in their coastal waters. Officials of the barangay and the local government, as well as representatives of different economic sectors attended the meetings. 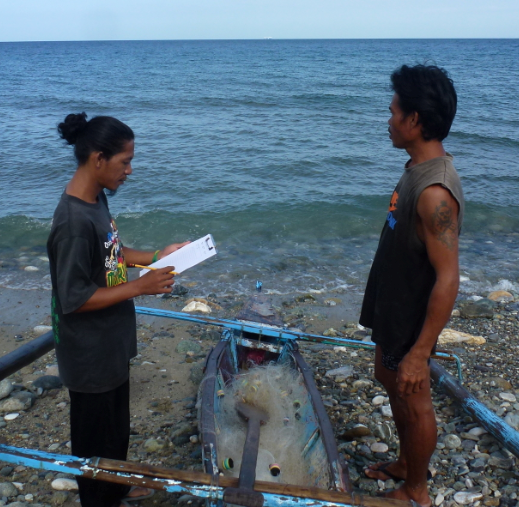 Data gathering with a local fisherman by means of a structured interview. Interviewers were recruited and trained by Ryan Kaye, Marine Servonnat and Fidel Silan. Joining local fishermen on a fishing trip. Leftmost: Raymond Dizon, EIDR volunteer. On the right is Ryan Kaye; immediately in front of him is Marine Servonnat. A meeting on the proposed marine protected area. On the right (foreground) is Emer Cristalino, municipal planning and development officer of the local government of Abra de Ilog. Also in photo are Elsa Dingkuhn, Marine Servonnat and Ryan Kaye. UP and ER embarked on a project with local farmers to study the feasibility of switching to organic agriculture, primarily to avoid the use of chemicals such as synthetic fertilizers and pesticides. The latter compounds are well-known pollutants of the coastal environment as they are readily conveyed to the ocean by run-off especially during rains. EIDR research associate Elsa Dingkuhn shared her expertise in organic agriculture with local farmers. Experiments were undertaken in the second half of 2016, and results will be evaluated this year. Elsa Dingkuhn with local farmers examining a prospective site in the barangay for experimental organic rice farming. 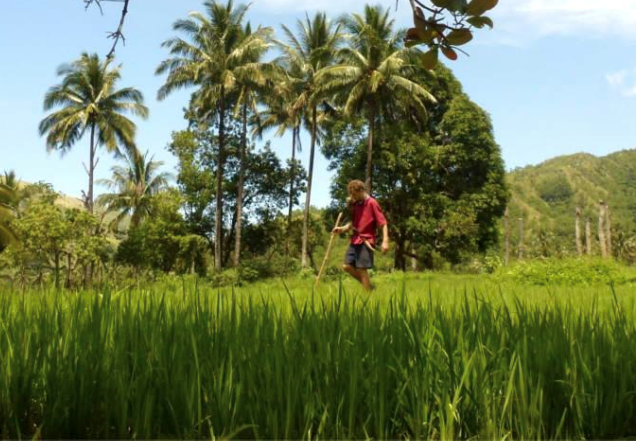 Planting organic rice. Results will be evaluated this year. Keeping human-generated waste to a minimum is crucial in ensuring the health of both the terrestrial and marine environments. Thus, a critical initiative by ER volunteers Ryan Kaye and Marinee Servonnat, with the support of the EIDR, was to introduce household waste management to elementary schoolchildren at Barangay Udalo. As an initial step, waste segregation was taught to students with the supervision of their teachers. The challenge now is to sustain the interest and commitment of the barangay, and eventually of the municipality, in the long term. 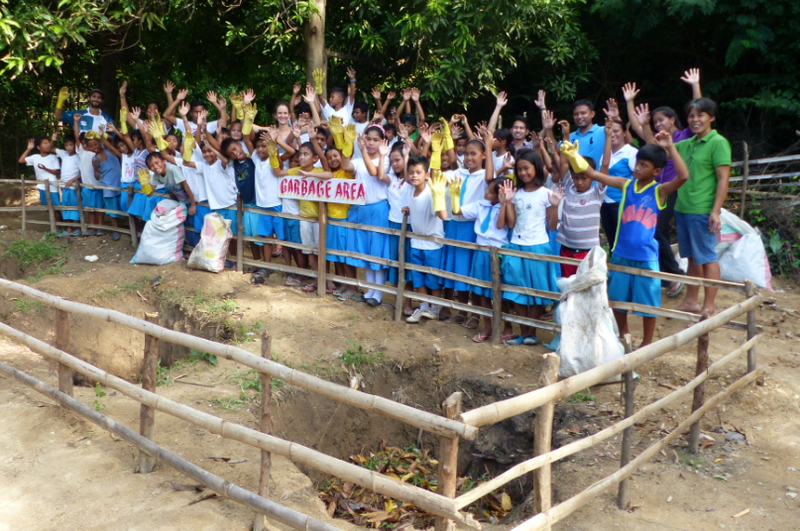 An elementary class in Udalo was put in charge of a waste disposal facility. 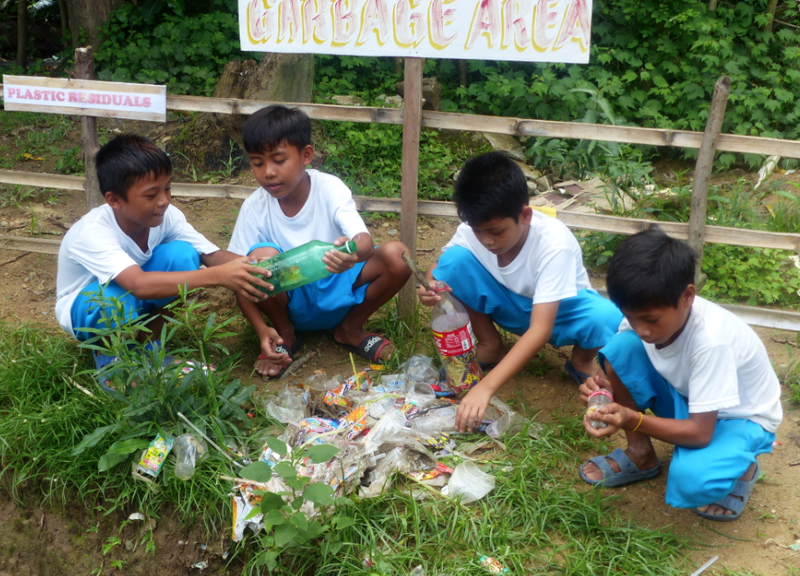 Barangay schoolchildren learning the mechanics (and hopefully, the value) of waste segregation. It was recently discovered that Barangay Udalo was a nesting habitat for three species of endangered marine turtles. Unfortunately, this fact was known to local inhabitants who had exploited the animals for food as well as for their eggs. 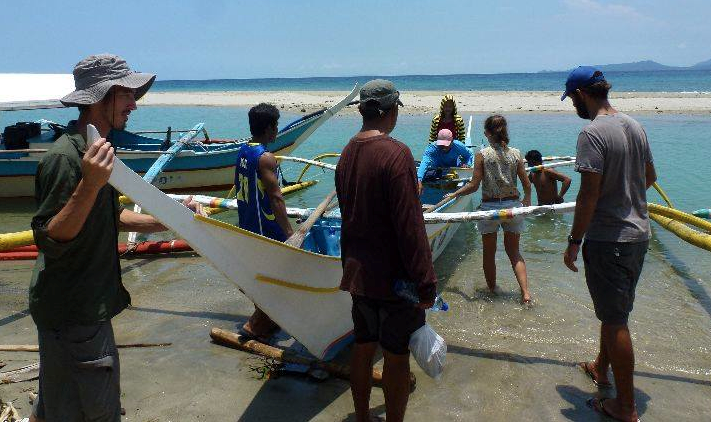 To address this, a resident of Munting Buhangin, Michaela Webb, initiated a vigorous program for monitoring sea turtle nesting, the rescue and relocation of eggs, and the supervision of the hatching process until the safe return of the hatchlings to the sea. 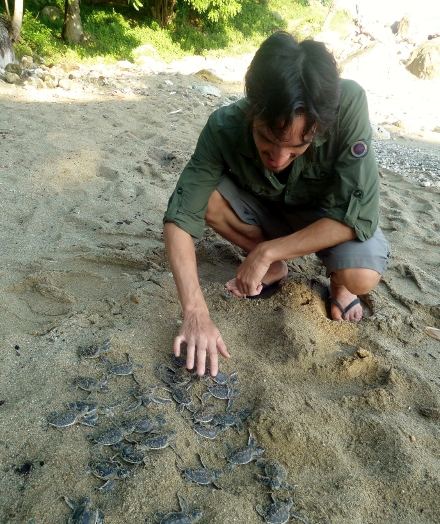 EIDR volunteer Raymond Dizon helping to release hatchlings of the green sea turtle Chelonia mydas in Munting Buhangin, Barangay Udalo. Jonathan Locqueville surveying a potential study site in Udalo. 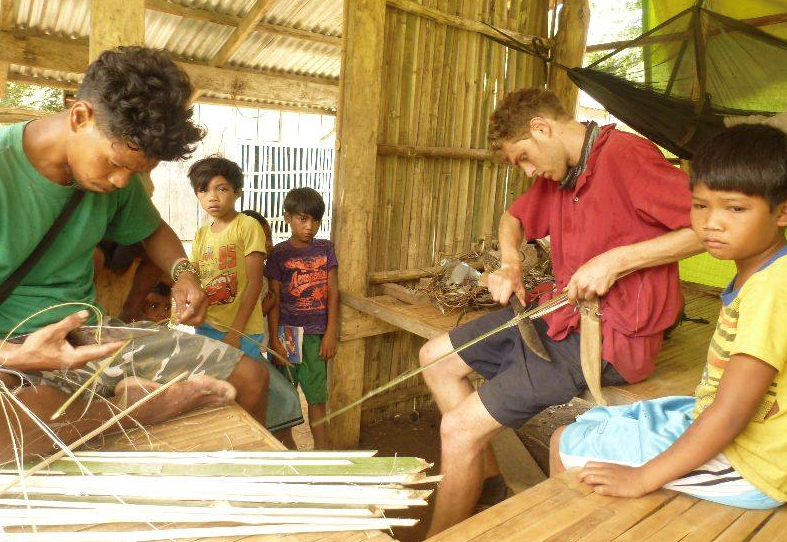 Learning skills from the local indigenous people (here a Mangyan household).